The Supreme Court struck down a 35-foot buffer zone law but upheld the right to impose such protections, as long as they don’t infringe upon public spaces. 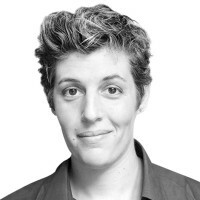 And that’s a good thing, writes Sally Kohn. On December 30, 1994, Shannon Elizabeth Lowney was sitting at the front desk at the Planned Parenthood clinic in Brookline, Massachusetts where she worked, just doing her job, when a man named John C. Salvi entered the clinic, pulled a rifle from his bag and fatally shot Lowney in the neck. Salvi then methodically riddled the rest of the room with bullets, wounding three other people in the clinic. After his shooting spree, Salvi left and went to Preterm Health Services, a clinic two miles away, killing receptionist Lee Ann Nichols and wounding two other staffers. Within an hour of the murders, a woman called the Planned Parenthood clinic in Brookline and told a staff person there, “You got what you deserved.” Outside a Virginia jail where Salvi was later held after a nationwide manhunt, his supporters gathered. “Thank you for what you did,” Donald Spitz, the director of Pro-Life Virginia, shouted into a megaphone—apparently failing to grasp the profound hypocrisy that in the name of “life,” he was cheering on murder. In McCullen v. Coakley, the Supreme Court was asked to weigh the legality of a Massachusetts law that bans protests within 35 feet of an entrance to an abortion clinic. Opponents of the law, including the named challenger Eleanor McCullen, argued that the law violates their First Amendment rights. The Supreme Court, in its ruling today, partially agreed. But this case had little to do with Eleanor McCullen, a grandmother in her mid-70s who, two mornings a week, dresses up in a suit and pushes a baby stroller outside an abortion clinic near Boston. The Massachusetts law wasn’t written because of peaceful protesters like McCullen. It was written for people like Salvi. Anti-abortion protesters have a demonstrated history of violent intimidation, doing whatever they think it takes to physically block women from entering clinics, whether the women are there to get a check-up or to exercise their constitutional right to an abortion. Law enforcement officers support buffer zones to keep the peace. In fact, Supreme Court judges also apparently support protest buffer zones, since protest is regulated in and around the Supreme Court building. If it’s constitutional to regulate protests at the Supreme Court, surely it’s constitutional at health clinics, too. The McCullen decision follows on the heels of the Court’s 2000 decision in Hill v Colorado. There, in a 6-3 ruling, the Court upheld a 1993 Colorado law creating a 100-foot buffer zone around the entrance of any health-care facility. The law also prohibited protesters from approaching within eight feet of a patient without her or his consent. The Colorado law was passed in the wake of not just peaceful protests but active harassment and personally violating confrontations. In Hill v. Colorado, the court ruled that the law served a legitimate government interest—preserving the right of citizens to “be let alone”—and within that context, the law was sufficiently narrowly tailored to infringe on free speech as little as possible. The Massachusetts law struck a similar, reasonable balance. As Martha Walz, head of the Planned Parenthood Leave of Massachusetts, told RH Reality Check earlier this year, “Law enforcement supports the buffer zones. They love that it works. And the protesters, they respect it.” After all, protesters still get to protest—while patients and clinic workers still have the right to be left alone. Even the ACLU, our nation’s most steadfast defenders of the First Amendment, believe buffer zones are constitutional. Yes, free speech is a right that must be protected, says the ACLU, but so is the constitutional right to obtain an abortion. Buffer zone laws keep both rights balanced. Michael T. Baniukiewicz, head of security for Planned Parenthood facilities in Massachusetts, reported how protesters would regularly block entrances or block parking garages or even line their bodies up alongside cars so that passengers can’t get out. Under the McCullen ruling, thankfully, states can still act to protect the safety and constitution exercise of freedom of women and their families and loved ones. While undoubtedly this ruling will lead to much more litigation in lower courts to determine the exact implications of the Supreme Court’s ruling, it looks like states can still take steps needed to protect women seeking abortions, including passing buffer zone laws as long as they don’t explicitly include public streets and sidewalks. Which is too bad, because extremist and aggressive anti-abortion protesters don’t seem to recognize any boundaries in their harassment and violent intimidation.